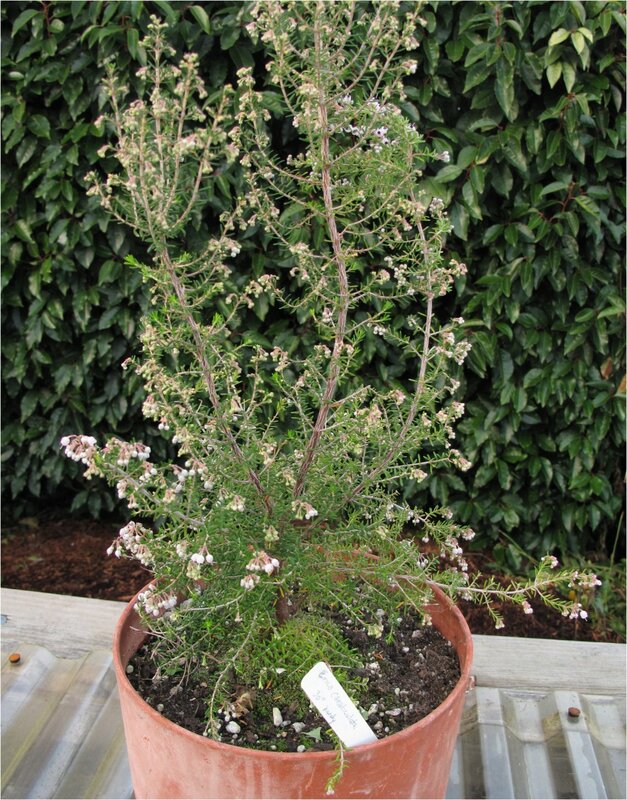 This past February at the Northwest Flower and Garden Show in Seattle I bought two South African tree heaths in four inch pots, potted them on, watered well and hoped to see some blooms. 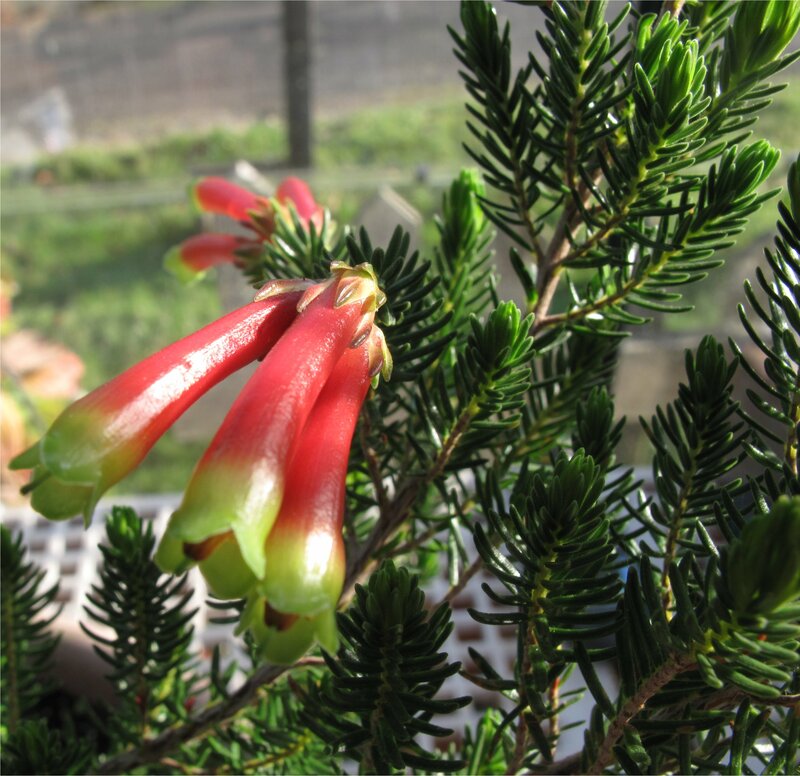 Erica speciosa and Erica canaliculata are both blooming now! These two plants, from the genus Erica, are endemic (found only in one area of the world) to the Cape Peninsula of South Africa, where apparently over 600 Erica species call home. Up close the blooms are stunning. I definitely plan to visit the Heath and Heather nursery soon. 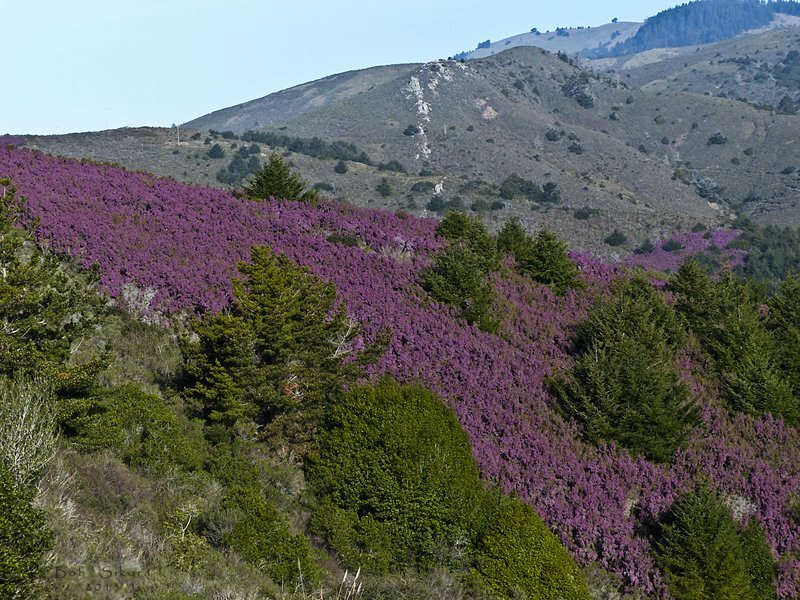 Further afield, in California, a hillside of a lavender colored E. canaliculata is terribly invasive and threatens the native plants north of the San Francisco Bay. A cautionary tale, as Bob Sikora points out in his comment below. 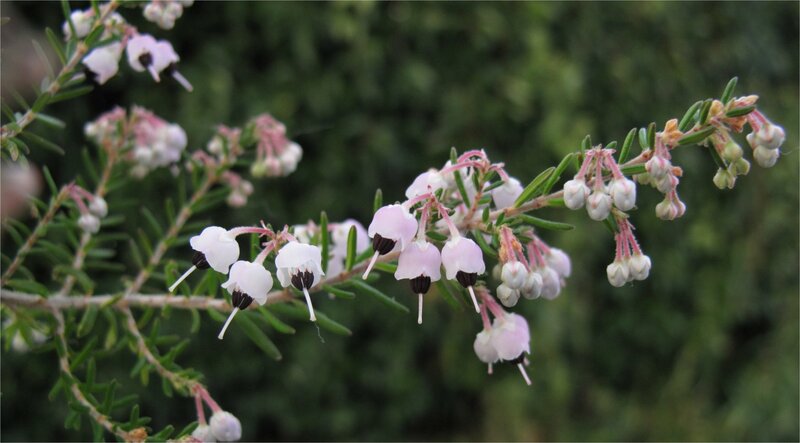 Clearly this Erica — endemic to another continent and hemisphere — was introduced to the hospitable Bay area climate and prospered to the detriment of the native plants. For more on another potentially invasive plant found widely in the nursery trade, see my post on Rosa rugosa ‘Hansa’ Friend or Foe? 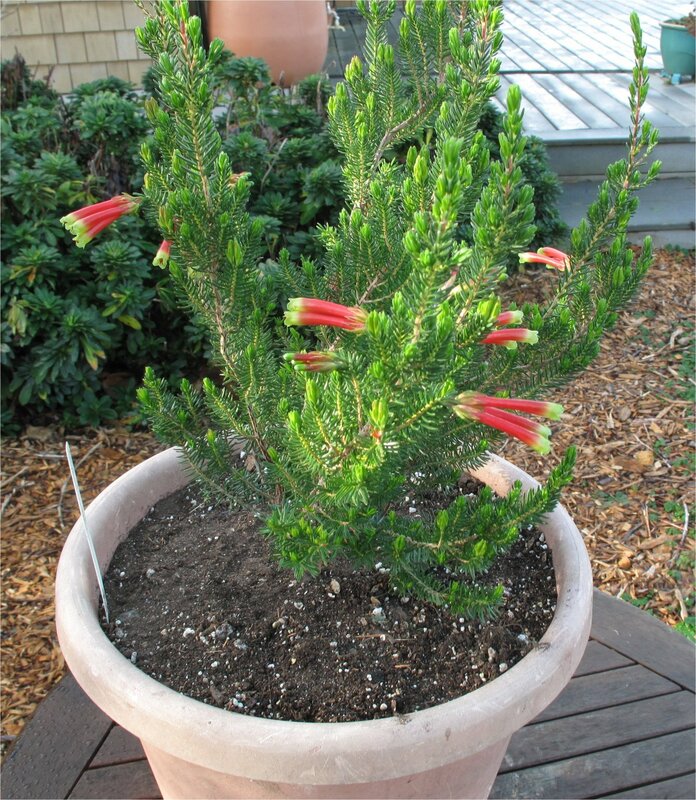 This entry was posted in Plant Picks, Zonal Denial and tagged Erica canaliculata, Erica speciosa, plants of Cape Peninsula South Africa, Tree Heaths, zonal denial by Bart Arenson. Bookmark the permalink. Thanks for you comment Bob. I really hope Erica canaliculata is on the prohibited list for sale in California and that growers, gardeners and landscape professionals are aware of its proclivity to take over valuable habitat. I checked both King County’s Noxious Weed list and the USDA list of Introduced, Invasive and Noxious Plants for Washington State. Erica canaliculata is not listed. I think our climate and long, wet dark winters, make it unlikely this plant could compete in Western Washington. I’m not so sure about east of the Cascades though. I wonder if gardeners and botanists in Eastern Washington agree.